NEW DELHI: World’s leading IT and networking company Cisco has announced the appointment of a new President for its Asia Pacific & Japan business. 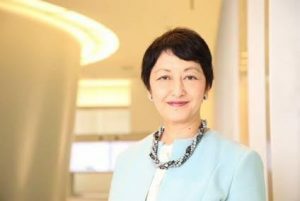 After three years at the helm of Cisco Japan, Miyuki Suzuki has been promoted to president for Asia Pacific & Japan. Charged with regional revenue growth across 18 markets, and propelling customer digital transformation and cybersecurity efforts, Suzuki will report to Chris Dedicoat, executive vice president of Worldwide Sales and Field Operations. A seasoned executive with more than 35 years’ experience, prior to Cisco, Suzuki served in numerous leadership positions for organizations throughout Asia, spanning across technology, aviation, telecommunications and financial services. Suzuki assumes the leadership from Irving Tan, who last month took on the newly created role of senior vice president of Operations and Digital. Joining Chairman and CEO Chuck Robbins’ executive leadership team, Tan will be responsible for driving Cisco’s digital transformation across the company in partnership with Sales, Engineering and other functions. “Miyuki has been instrumental in driving Cisco’s breakthrough growth in Japan in recent years by securing a broad partner network, developing exemplary company initiatives and building customer trust,” added Chris Dedicoat, executive vice president of Worldwide Sales and Field Operations at Cisco. “I’m confident Miyuki has the right experience, innovative thinking and leadership qualities to capture market opportunities across the wider region in her expanded role,” said Dedicoat. Currently based in Tokyo, Suzuki will relocate to Cisco’s Asia Pacific & Japan headquarters in Singapore in the near future. Recruitment is underway for her successor for President of Cisco Japan and will be announced in due course.